With the storm over the not guilty verdict for PC Simon Harwood still raging, it’s time to ask some crucial questions and put the case into context. The following questions have been picked from Guardian articles (credit to Paul Lewis) and other internet sources. How was PC Harwood able to re-join the Met police force as a civilian computer worker three days after illegally trying to arrest a man in a road rage incident, altering notes retrospectively to justify his actions? 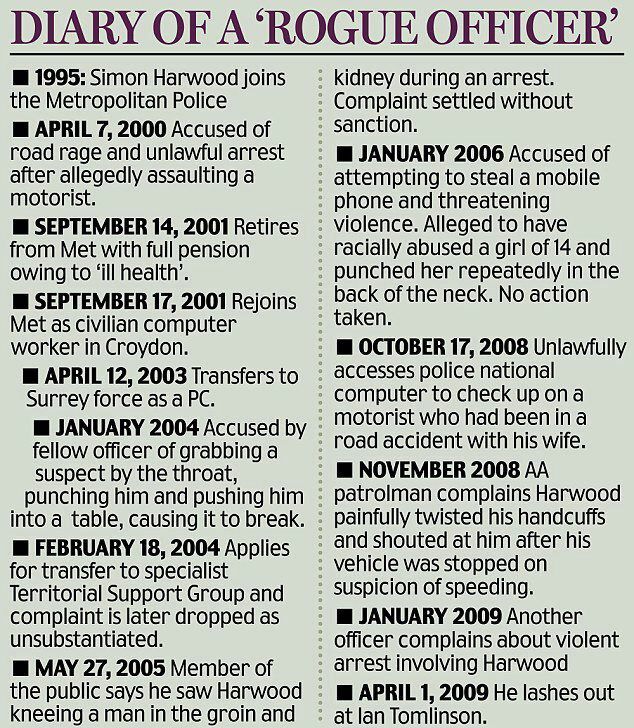 How was Harwood then able to rejoin the Metâ€™s elite Territorial Support Group in 2005 despite his disciplinary record as PC at Surrey police? He was accused of punching, throttling, kneeing and threatening other suspects while in uniform, one complaint was upheld? 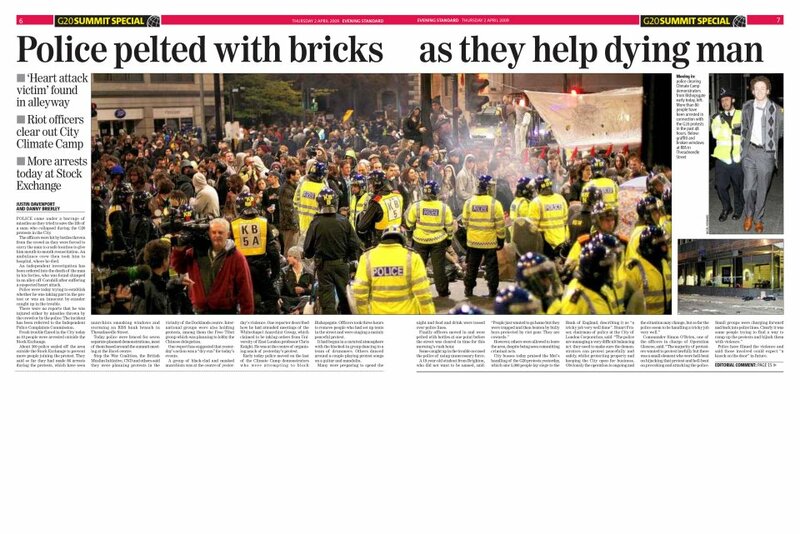 Why, for seven days after Tomlinsonâ€™s death, did the IPCC resist opening a full investigation, only to do so when the footage of the incident was released by the Guardian? Why, was the first thing the IPCC did then, to visit the Guardianâ€™s offices demanding the video be taken off the website? Why did the IPCC argue that the footage would jeopardise any future investigation, and that it was upsetting the family, which both turned out not to be true? Why did the IPCC initially suggest to Tomlinsonâ€™s family that his attacker may have been a member of the public who had stolen a police uniform? Why, when the investigation was still in the hands of the City of London police, was controversial pathologist Freddy Patel (no longer registered on the Home Office list of forensic pathologists) assigned to conduct the first and most important post-mortem examination? He has since contradicted by three other forensic pathologists, all of whom agreed that the cause of death was internal bleeding in the abdomen, instead of a heart attack. Why was the City of London Police present at the first post-mortem examination while the IPCC was barred? Why does the IPCC not think that the outcome of the trial would have been different had they handled the investigation from the outset, whilst at the same time it acknowledges that its response to a death of this kind in the future would be “very different”? 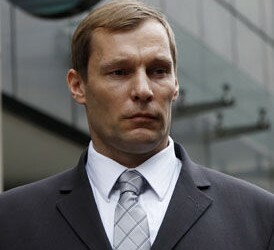 How was the Metropolitan Police successful in hiding PC Harwoodâ€™s disciplinary record from the jury? Why did the judge rule in the Metâ€™s favour, despite that fact that even the Met’s deputy assistant commissioner, Maxine de Brunner, conceded that Harwood should never have been allowed to re-join the force? In what sort of legal system can a police officer be guilty of an unlawful killing, yet be cleared of manslaughter by another jury, based on the same evidence? Why wasnâ€™t there a criminal trial in the first place? It must be noted that PC Harwood was the first serving police officer in Britain since 1986 to face a manslaughter trial in connection to a death at the hands of the police. Research carried out by INQUEST, the charity which provides a free advice service to bereaved people on contentious deaths and their investigation with a particular focus on deaths in custody shows how the state uses the inquest rather than criminal prosecution and trial for the public examination of deaths in custody. It is extremely rare for there to be a prosecution after a death in custody even where there has been an inquest verdict of unlawful killing. There exists an institutional unwillingness to approach these deaths as if a crime has been committed which affects the whole process from the investigation carried out by the police as well as the Crown Prosecution Service (CPS). But thanks to video footage of Ian Tomlinson being struck down people were able to witness this abuse of power first hand and as a result of the familyâ€™s legal representation from the outset the evidence gathered to force the CPS to act. Since 1990 unlawful killing verdicts have been returned in nine deaths in police custody/following police contact cases. The verdict of unlawful killing can only be returned on the criminal standard of proof where a jury is sure beyond reasonable doubt that the death was the result of gross negligence manslaughter or murder. There is a lack of proper data concerning police prosecutions (in particular for lesser offences). According to the IPCCâ€™s Deaths in Custody study published in 2010, in the 10 years leading up to 2010 just 1 civilian member of police staff was found guilty of misconduct and given a six month sentence. There were no other successful prosecutions during this period. There have been nearly 1500 deaths in police custody or following police contact since 1990. No police officer has ever been convicted of manslaughter in modern history. There have been attempts to prosecute police in 6 cases since 1990, none of which have been successful. See INQUESTâ€™s full data on unlawful killing verdicts and prosecutions here.